Matt writes: In honor of the nominees being announced this morning for the 91st Academy Awards ceremony, let's analyze perhaps the most important "Oscar movie" of all time, "A Star Is Born." Bradley Cooper's awards contender is the fifth screen version of the story, and though it is a remarkable achievement in its own right, the best of them all still remains George Cukor's 1954 masterpiece starring Judy Garland in the greatest performance of her career. Click here to read my in-depth essay on the picture, as well as the other four pictures, which are all worth at least "one more look." Woman at War (2019). Directed by Benedikt Erlingsson. Written by Ólafur Egilsson and Benedikt Erlingsson. Starring Halldóra Geirharðsdóttir, Jóhann Sigurðarson, Juan Camillo Roman Estrada. Synopsis: Halla, a woman in her forties, declares war on the local aluminum industry to prevent it from disfiguring her country. She risks all she has to protect the highlands of Iceland-but the situation could change with the unexpected arrival of a small orphan in her life. Opens in US theaters on March 1st, 2019. High Life (2019). Directed by Claire Denis. Written by Claire Denis, Jean-Pol Fargeau and Geoff Cox. Starring Robert Pattinson, Juliette Binoche, André Benjamin. Synopsis: A father and his daughter struggle to survive in deep space where they live in isolation. Opens in US theaters on April 12th, 2019. The Hole in the Ground (2019). Directed by Lee Cronin. Written by Lee Cronin and Stephen Shields. Starring Seána Kerslake, James Quinn Markey, Simone Kirby. Synopsis: Trying to escape her broken past, Sarah O'Neill is building a new life on the fringes of a backwood rural town with her young son Chris. A terrifying encounter with a mysterious neighbor shatters her fragile security, throwing Sarah into a spiraling nightmare of paranoia and mistrust. Opens in US theaters on March 1st, 2019. The Man Who Killed Hitler and then The Bigfoot (2019). Written and directed by Robert D. Krzykowski. Starring Sam Elliott, Aidan Turner, Ron Livingston. Synopsis: A legendary American war veteran is recruited to hunt a mythical creature. US release date is TBA. Little (2019). Directed by Tina Gordon Chism. Written by Tina Gordon Chism and Tracy Oliver. Starring Issa Rae, Regina Hall, Marsai Martin. Synopsis: A woman is transformed into her younger self at a point in her life when the pressures of adulthood become too much to bear. Opens in US theaters on April 12th, 2019. Ashes in the Snow (2019). Directed by Marius A. Markevicius. Written by Ben York Jones (based on the novel by Ruta Sepetys). Starring Bel Powley, Peter Franzén, Sophie Cookson. Synopsis: In 1941, a 16 year-old aspiring artist and her family are deported to Siberia amidst Stalin's brutal dismantling of the Baltic region. One girl's passion for art and her never-ending hope will break the silence of history. Now playing in US theaters. Red Joan (2019). Directed by Trevor Nunn. Written by Lindsay Shapero. Starring Judi Dench, Sophie Cookson and Stephen Campbell Moore. Synopsis: The story of Joan Stanley, who was exposed as the KGB's longest-serving British spy. US release date is TBA. Five Feet Apart (2019). Directed by Justin Baldoni. Written by Mikki Daughtry and Tobias Iaconis. Starring Haley Lu Richardson, Cole Sprouse, Parminder Nagra. Synopsis: A pair of teenagers with life-threatening illnesses meet in a hospital and fall in love. Opens in US theaters on March 22nd, 2019. Anywhere With You (2019). Written and directed by Marco La Via and Hanna Ladoul. Starring Morgan Saylor, McCaul Lombardi, Betsy Brandt. Synopsis: Amanda and Jake are in love and want to start a new life in Los Angeles. Will they make the right decisions? US release date is TBA. Fast Color (2019). Directed by Julia Hart. Written by Julia Hart and Jordan Horowitz. Starring Gugu Mbatha-Raw, David Strathairn, Saniyya Sidney. Synopsis: A woman is forced to go on the run when her superhuman abilities are discovered. Years after having abandoned her family, the only place she has left to hide is home. Opens in US theaters on March 29th, 2019. High Flying Bird (2019). Directed by Steven Soderbergh. Written by Tarell Alvin McCraney. Starring André Holland, Zachary Quinto, Kyle MacLachlan. Synopsis: A sports agent pitches a rookie basketball client on an intriguing and controversial business opportunity during a lockout. Debuts on Netflix on February 8th, 2019. Dogman (2019). Directed by Matteo Garrone. Written by Matteo Garrone, Ugo Chiti and Massimo Gaudioso. Starring Marcello Fonte, Edoardo Pesce, Nunzia Schiano. Synopsis: Marcello, a small and gentle dog groomer, finds himself involved in a dangerous relationship of subjugation with Simone, a former violent boxer who terrorizes the entire neighborhood. Opens in US theaters on April 12th, 2019. Berlin, I Love You (2019). Directed by Dianna Agron, Peter Chelsom, Fernando Eimbcke, Justin Franklin, Dennis Gansel, Dani Levy, Daniel Lwowski, Josef Rusnak, Til Schweiger, Massy Tadjedin and Gabriela Tscherniak. Written by Fernando Eimbcke, Justin Franklin, Dennis Gansel, Alison Kathleen Kelly, Dani Levy, Massy Tadjedin, Gabriela Tscherniak and David Vernon. Starring Keira Knightley, Helen Mirren, Luke Wilson. Synopsis: Latest installment of the Cities of Love franchise ("Paris, je t'aime" / "New York, I Love You" / "Rio, Eu Te Amo"), this collective feature-film is made of ten stories of romance set in the German capital. US release date is TBA. John Wick: Chapter 3—Parabellum (2019). Directed by Chad Stahelski. Written by Derek Kolstad. Starring Keanu Reeves, Halle Berry, Jason Mantzoukas. Synopsis: Super-Assassin John Wick is on the run after killing a member of the international assassin's guild, and with a $14 million price tag on his head - he is the target of hit men and women everywhere. Opens in US theaters on May 17th, 2019. O.G. (2019). Directed by Madeleine Sackler. Written by Stephen Belber. Starring Jeffrey Wright, William Fichtner, Boyd Holbrook. Synopsis: A maximum-security prison inmate named Louis, who, 24 years after committing a violent crime as a young man, finds himself on the cusp of release from prison, facing an uncertain future on the outside. Premieres on HBO on April 20th, 2018. Untogether (2019). Written and directed by Emma Forrest. Starring Jamie Dornan, Lola Kirke, Billy Crystal. Synopsis: Andrea is a recently sober writer whose career has stalled since she published her debut novel several years ago. She strikes up an affair with Nick, a doctor-turned-writer who is hailed for his wartime memoir. Opens in US theaters on February 8th, 2019. Spider-Man: Far From Home (2019). Directed by Jon Watts. Written by Chris McKenna and Erik Sommers (based on the comic books by Steve Ditko and Stan Lee). Starring Tom Holland, Jake Gyllenhaal, Zendaya. Synopsis: Peter Parker goes on a school trip to Europe with his friends. While abroad, he is recruited by Nick Fury to team up with Mysterio to battle the Elementals. Opens in US theaters on July 5th, 2019. Ghostbusters 3 (2020). Directed by Jason Reitman. Written by Jason Reitman and Gil Kenan. Synopsis: The official third installment in the "Ghostbusters" franchise unrelated to the 2016 reboot. US release date is TBA. 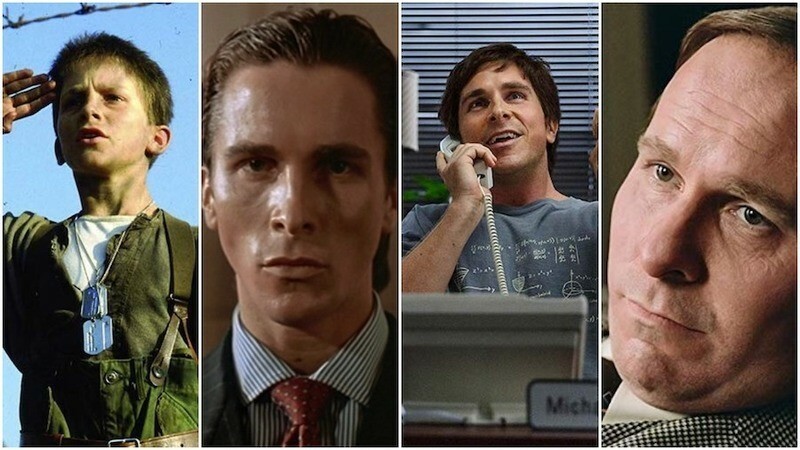 Matt writes: The career of this year's Best Actor Oscar frontrunner, Christian Bale, is dissected and celebrated by our contributor Max O'Connell. Click here for the full article. 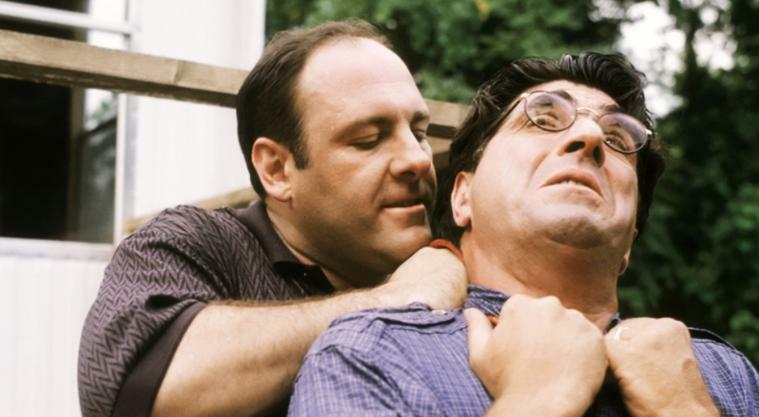 Matt writes: Matt Zoller Seitz and Alan Sepinwall present an exclusive excerpt from The Sopranos Sessions, their new book on the groundbreaking HBO series. To read their excerpt on "College," the episode "that made 'The Sopranos,'" click here. A Star Is Born (1937). Directed by William A. Wellman. Written by Dorothy Parker, Alan Campbell and Robert Carson. Starring Janet Gaynor, Fredric March, Adolphe Menjou. Synopsis: A young woman comes to Hollywood with dreams of stardom, but achieves them only with the help of an alcoholic leading man whose best days are behind him. Watch "A Star Is Born"
I Could Go On Singing (1963). Directed by Ronald Neame. Written by Mayo Simon. Starring Judy Garland, Dirk Bogarde, Jack Klugman. Synopsis: Jenny Bowman is a successful singer who, while on an engagement at the London Palladium, visits David Donne to see her son Matt again, spending a few glorious days with him while his father is away in Rome in an attempt to attain the family that she never had. When David returns, Matt is torn between his loyalty to his father and his affection for Jenny. Watch "I Could Go On Singing"
Life With Judy Garland: Me and My Shadows (2001). Directed by Robert Allan Ackerman. Written by Robert L. Freedman (based on the memoir by Lorna Luft). Starring Judy Davis, Victor Garber, Tammy Blanchard. Synopsis: The story of Judy Garland from the 1930s until her death.